Please indicate if you intend to come with your partner and kindly provide his/her name. 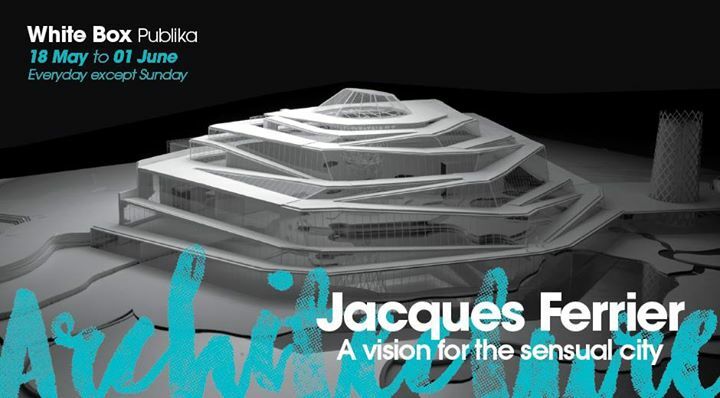 The White Box in Publika will host an exhibition about Jacques Ferrier’s architectural projects and main sources of inspiration from 18th May – 1st June 2017. Each project will be displayed in an ingenious system of specific boxes. Some of Ferrier’s major achievements will be shown, such as the Charles de Gaulle French international school in Beijing or the France pavilion for the 2010 Shanghai Expo. These past few years, Ferrier dedicated his time to various research in architecture, with the purpose of creating cities that contribute to a sustainable society. This humanistic vision is embodied in the concept of “Sensual City” imagined in collaboration with French architect Pauline Marchetti and philosopher Philippe Simay. Jacques Ferrier founded his architecture firm in the early 90s. From then on, he has been working on both the French and the international scenes. His architectural work is very diverse: cultural facilities, public buildings, corporate headquarters, etc.